Andy Hofheimer joined Regency Centers 30 years ago and became one of the company’s original partners. As Senior Vice President for Regency’s Retailer Services department, Andy's team provides merchants, such as Stein Mart, Whole Foods Market and Costco, with market analysis, site selection, lease negotiation and construction management services, accelerating their expansion throughout Regency's designated territories. 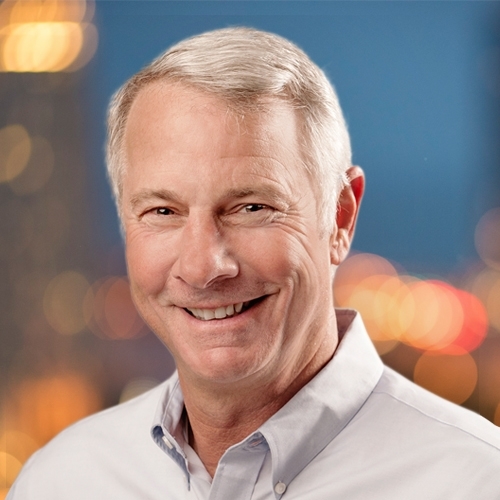 Andy was hired out of the U.S. Navy in 1982 to lead Regency’s property management and project development teams, transforming them into a large third-party asset management group, gaining national attention by adding value to properties owned by Regency, Citibank, First Chicago Bank, Siemens, Bank of America and others. Andy completed 23 years of military leadership roles, flying single-seat fighter and attack jets for the U.S. Navy and Air Force, accumulating 9,000 flight hours and 297 carrier landings. He retired as a Lieutenant Colonel and Director of Operations for the 1,200 members of the Florida Air National Guard and its renowned 125th Fighter Wing. Andy earned a Bachelor of Science in engineering management at Vanderbilt University. He volunteers for Angel Flight Southeast, providing emergency air transportation for organ transplant recipients and financially needy patients. Andy, his wife, Marianne, and their two children are natives to Jacksonville and enjoy all the clear waters and high terrain available in our great outdoors.